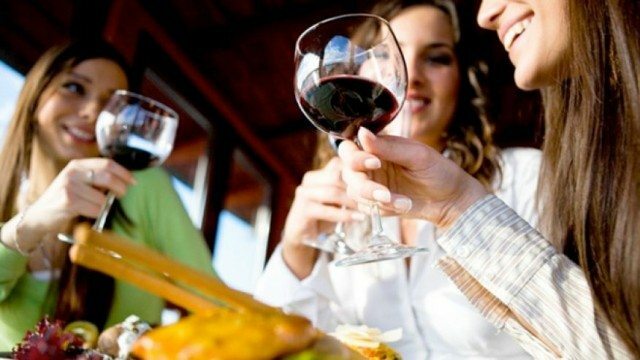 The US is experiencing a surge in wine consumption driven by millennials, who drank 42% of all wine in the US last year, according to the latest report from the Wine Market Council (WMC). Millennials drank 42% of all wine in the US last year, consuming 159.6 million cases of wine. Presenting its findings at a conference on 25 January, the WCM reported a surge in “high frequency wine drinkers” – those who consume wine several times a week – over the past 15 years. This segment has more than doubled from 7.6% in 2000 to 13% in 2015, a rise it attributed to Millennials consumers. Defined as those aged between 21 and 38, millennials are now the largest wine-drinking demographic in the US making up 36% of all US wine drinkers. In 2015, millennials overtook 51 to 69 year-old Baby Boomers at 34% for the first time, pushing Generation X – the group aged between 39 and 50 – into third place at just 18%. The WMC’s research also found that millennials are drinking more in a single session at 3.1 glasses, compared to Gen-Xers’ 2.4 and Boomers’ 1.9 glasses. Overall, millennials drank 42% of all wine in the US last year, as reported by Wine Spectator, consuming 159.6 million cases of wine – an average of two cases per person. According to another report by Vinexpo in partnership with the IWSR, released last week, the US is the world’s biggest wine consuming country, ahead of France and Italy. In 2015, the USA consumed 339.5 nine-litre cases of wine, a figure that is expected to grow by 2.1% to 2019, the biggest predicted growth of any top 10 market besides Russia at 6.5%, albeit from a much smaller base. Of the total $216 billion spent on alcohol in the US in 2015, $104 billion was spent on beer, $80 billion on spirits and $32 billion on wine. Sparkling wine growth is leading in the US off-trade with an 11.7% value growth in 2015, while table wine is increasing at 5.2% in value. Encouragingly, US consumers are continuing to trade up, resulting in double digit sales gains in wines over $11, and losses for those at the lower ends. This trend is particularly true of older millennials, with the WMC survey finding that 17% of all Millennial wine drinkers bought a bottle costing over $20 in the past month compared to 10% of all drinkers and 5% of Baby Boomers. Nielsen data on the average bottle price of wine in the US backs this up, which has risen from $6.31 in 2011 to $7.81 in 2015. Women in particular are driving a surge in US wine consumption accounting for 57% of wine volume in the US, according to the WCM. The survey found that “highly involved” female wine drinkers are mostly older Millennials who tend to be “urban educated professionals” and are generally more “ethnically diverse than the typical female wine drinker”. Looking at women’s wine preferences, the survey found that 38% of females felt that organic or sustainably-certified products were important factors when purchasing wine, compared to 32% of males. the Wine Market Council is a non-profit association of grape growers, wine producers, importers, wholesalers and retailers with the aim of providing consumer research to help support and strengthen the industry. Its 2016 Consumer Research Conference is due to take place 10 March in California.